Click "deal" to begin. 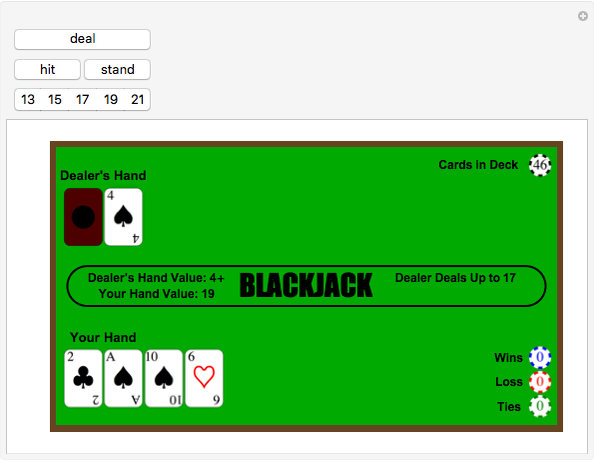 Click "hit" to take a card or "stand" to let the dealer deal to himself. 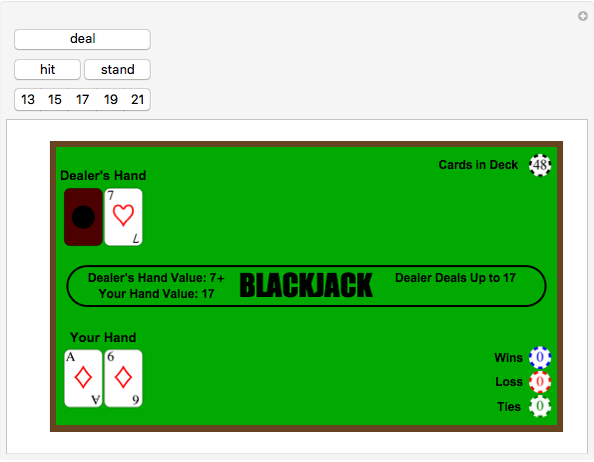 Press numbers on the number bar to set how high the dealer should deal himself. 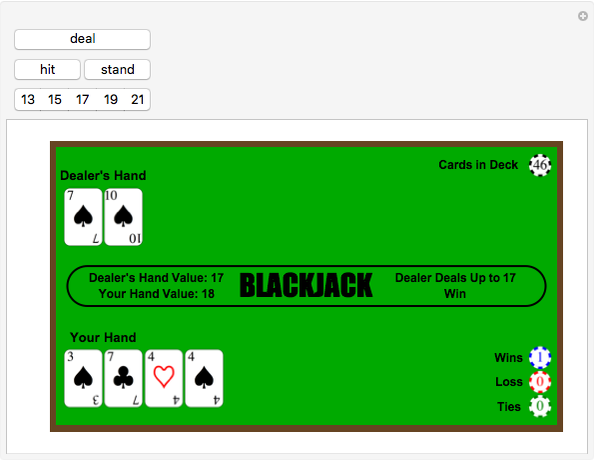 After busting or standing, click "deal" to play again.